A key highlight of the meeting will be the presence of the party's all elected lawmakers. 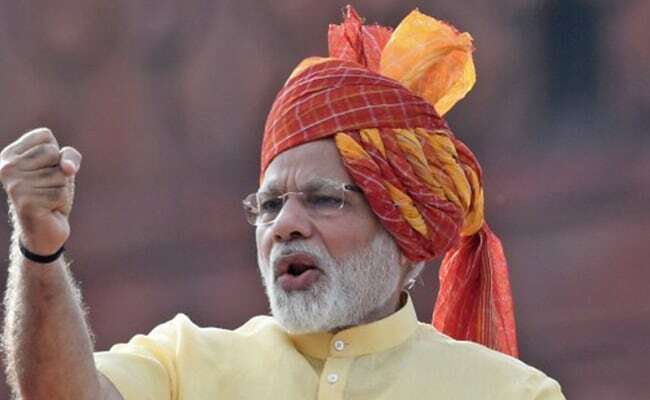 New Delhi: Prime Minister Narendra Modi may seek to dispel concerns over the state of economy and lay down his government's economic and political agenda as a two-day BJP national executive meeting which begins today. The party's national office bearers, including its president Amit Shah, state chiefs and other key organisational leaders will meet today to finalise resolutions which the national executive is expected to discuss on September 25, the birth anniversary of Deen Dayal Upadhyaya. A key highlight of the meeting will be the presence of the party's all elected lawmakers, including close to 1,400 MLAs, 337 MPs and all MLCs besides its core group leaders from states among others on Monday. PM Modi, who will deliver the valedictory address on Monday, may use the opportunity to highlight his government's pro-poor measures and other policy decisions. With the opposition parties attacking government's handling of the economy by citing the fall in GDP rate and demonetisation figures, PM Modi is expected to take them on and highlight his dispensation's "successes" in boosting transparency and curbing black money, party sources said. BJP sources said the party's resolution is likely to assert that the economy has been doing better under the NDA than it did under the previous UPA government. The roll out of the GST has been described by the party as a major success of the government which, it has asserted, will integrate the country economy. The prime minister's agenda of development will also be a key feature. With the government and the party embracing Deen Dayal Upadhyaya's plank of 'antyodaya' (upliftment of the last man), the executive is expected to cite a number of measures taken by the Union and the BJP-ruled states for the poor's welfare.